To create the fabric for this piece, I first collected smooth stones from Halladay Brook next to my house. By placing the stones on cotton that I had painted with dye, the dye molecules migrated away from the covered areas leaving ghostly serendipitous circles. Don’t ask me why, I think of it as some sort of magic… Anyone out there know the answer?? 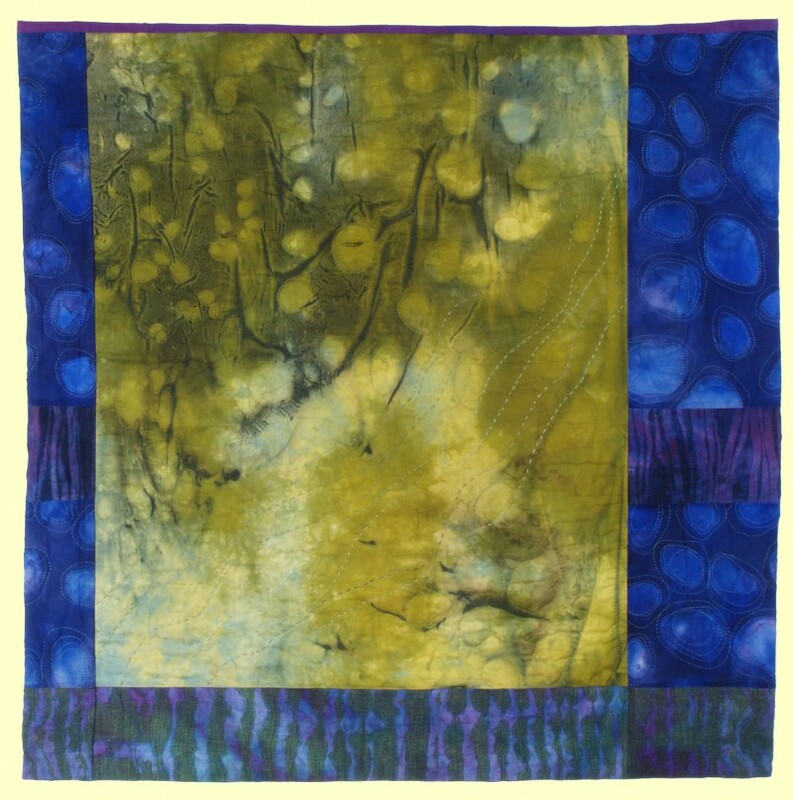 This entry was posted on July 11, 2013 at 9:32 pm and is filed under Artwork, Dyeing, Process. You can follow any responses to this entry through the RSS 2.0 feed. You can leave a response, or trackback from your own site. Thank you for your art. It is fabulous. Wonderful work. Thanks for telling us how you did it. the reason for the transition would be related to what type of dye you used, I would think. Different dyes respond to different mordants. 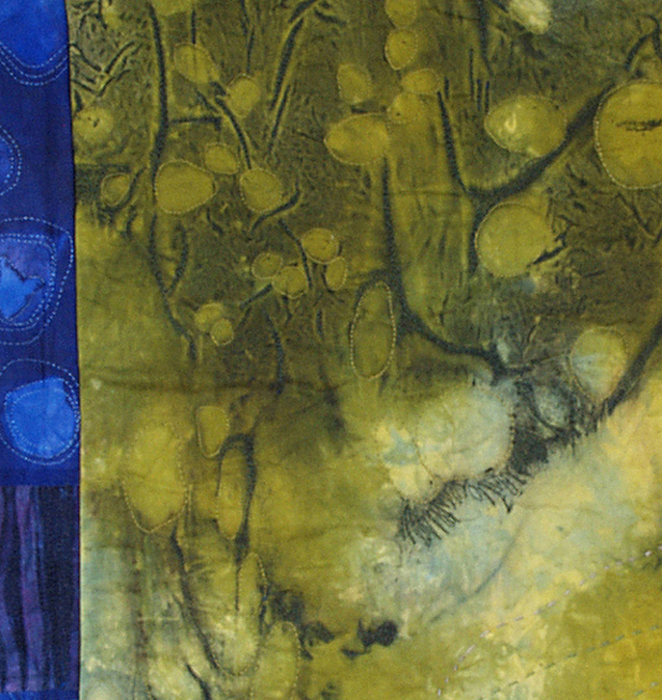 Back in the day, took a class at CCA(C) on dye theory.